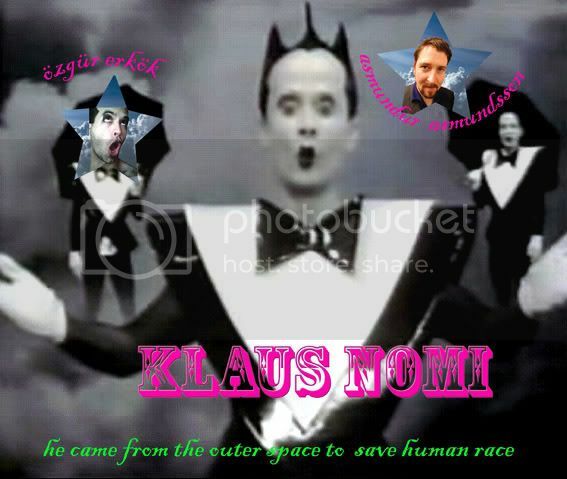 Klaus Nomi mixed Opera, electro pop and rock. He brough german expressionism to the Fiorucci club culture of New York in the 1980s, this Friday we will celebrate him at studio live with special Klaus Nomi performance by Hazavuzu's Ozgur Erkok and video screenings from both Nomi Song documentary and Nomi music videos. Asmundur Asmundsson will perform with his puppet. Klaus Nomi (born Klaus Sperber) was a counter-tenor and baritone singer and performer, noted for his remarkable vocal performances and unusual stage persona.Klaus Nomi He died of AIDS-related illness, one of the first celebrities to die of this disease. Nomi moved from Germany to New York City in the mid-1970s, where David Bowie saw his nightclub act and hired him as a backup singer. Nomi and Joey Arias famously performed with Bowie on an episode of Saturday Night Live in 1979. Nomi also collaborated with Manny Parrish. Nomi is remembered for his bizarrely theatrical live performances, sporting heavy make-up, unusual costumes, and highly-stylized hairdos. His songs were just as unusual, ranging from synthesizer-laden interpretations of classic opera to covers of songs like Chubby Checker's The Twist. is an international "Intentional Art" project. The project is based on a creative exchange and dialogue between artists and collaborators on the art scene of Istanbul, New York and Copenhagen. in the necessity of an ongoing dynamic exchange between people – between different interests, horizons, attitudes, beliefs, expressions, forms and shapes. The Triangle Project stands for NO FEAR, openness and synergy: 1+1=3. Our purpose is to enhance this process by means of the powers that lie in artistic inspiration, creation and expression. The Triangle Project is a statement on the world in the context of globalization: the process of social development and intercultural progression is strongly interwoven with INNOVATION, requiring CREATIVE INSPIRATION, requiring INTERACTION & COLLABORATION. is to create a network of artists and gain cultural insight through development projects in the three cities. The project seeks to facilitate intercultural dialogue and create sustainable collaboration between artists in the three cities Istanbul, New York and Copenhagen. This network and practical knowledge will also be used as a platform to introduce the Danish Cultural Institute in Istanbul. The project hereby broadens up the cultural exchange, that which for a number of years has taken place between Denmark and New York as a special initiative under the Danish Arts Council, to include Istanbul on the border between Europe and the Middle East. Istanbul has developed a cutting-edge art environment reaching a high level of quality and innovation. However, artistic vitality and innovation still seems to be associated with western metro poles such as Berlin and Barcelona that for many years have attracted creative people from all over the world, setting the standards for artistic and cultural expression. Or seen from an American perspective; New York and Los Angeles. 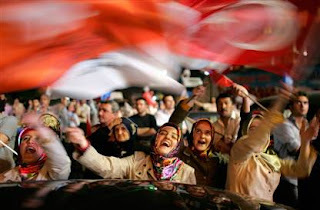 In comparison, Istanbul is still unknown territory to most people in the western cultural hemisphere. At this point Istanbul is without doubt one of the most interesting upcoming "hip" cities in Europe. One shouldn’t forget either Istanbul’s position as the gateway between East and West, or the fact that the city was known by the Vikings as Miklagaard – The Great City. The Triangle Project is an attempt to strengthen the dialogue, exchange of ideas, knowledge sharing and the hands-on cultural cooperation between Turkey, Denmark and America. The project offers a platform for artistic creation and intercultural dialogue in a long term perspective. from the belief that Danish artists, in collaboration with Turkish and American artists, can address global issues by collaboration and interaction with the language and codes of art and culture. The Triangle project into motion happens with two exhibitions and a number of other artistic and cultural events as part of the 10th International Istanbul Biennial. during the biennial is The Hall, a 131 old former Armenian church founded by three philanthropic sisters. Here The Triangle Project can be experienced in the form of an untraditional and ever-changing exhibition that introduces sound and taste as its main focus of attention. 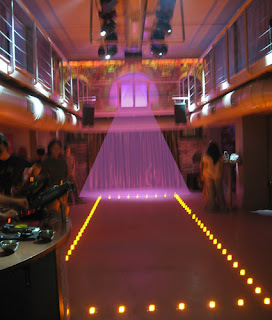 The exhibition presents a variety of sound artists, visual installation artists, DJs and Vjs along with food artists. During the day hours, visual installations and sound installations will interact with each other, whereas in the nighttime audiences will be offered a more event oriented experience with DJ and VJ performances deliciously served with food for thought, body and soul. 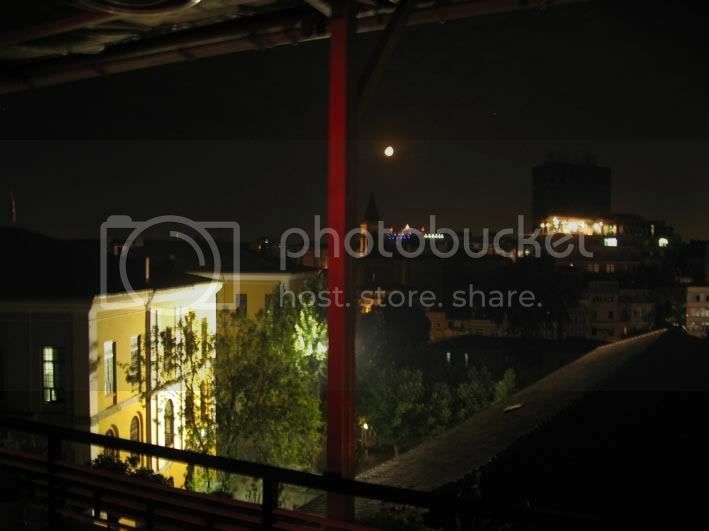 is situated in the center of Istanbul. The exhibition opens on Wednesday the 5th of September just before the official opening of the art biennial and will culminate on Monday the 10th of September presenting a mashed up and remixed version of the past week’s events. BM Suma Contemporary Arts Center, presenting Danish artists who are highly acclaimed on the international art scene. Among the visual artists in the project are Peter Bonde, Jon Stahn, Anders Brinch, Thierry Geoffrey Colonel, Fie Norsker, Maria Wæhrens, Marco Evaristti, Ismar Cirkinagic, Rasmus Bjørn, Anna Odell. Each of these artists will create special works for the exhibition, based on the concept "At The End of the Rainbow"
… Martin Jørgensen, a recent graduate from the National Film School of Denmark (alumni includes Lars von Trier, Thomas Vinterberg and Bille August), documents the events for a film and tv production. as a concept that enables a full integration of these different elements into an inter-dynamic whole, thereby grasping the very core of cultural, social and artistic development. The idea of open source by and for all is the logical progression of pop culture and the mindset of all creative people. The same line of thinking that motivated the invention of software mashups has formed the basis for cultural exchange and artistic innovation since the dawn of day. Also, today – parallel to the growing importance of computer technology within the field of communication, business marketing and data administration in general – computer technology has worked its way massively into the field of arts. Within the music scene the term mashup refers to the refinement and blending of elements from different products into a new independent output exceeding the sum of its parts. Within this cultural, artistic concept of mashup lies a vision of anarchy and democracy working hand in hand in the process of creating one unified final product of cultural interaction. 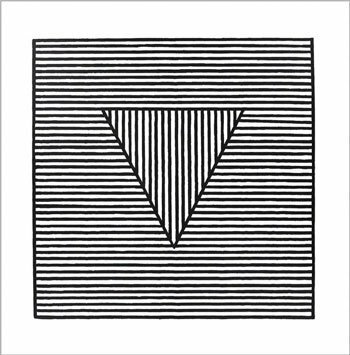 The Triangle Project promotes a broad variety of Danish culture and contemporary art while at the same time forming a strong platform for a continued exchange and dialogue between the three corners of the triangle. The 10th İstanbul Biennial will not be thematic exhibition in the traditional manner; rather, it will emphasise artistic production based on collective intelligence and the living process of negotiating with physical sites. The Biennial will focus on urban issues and architectural reality as a means of exposing different cultural contexts and artistic visions regarding the complex and diverse form of modernity. The current mutation of the global art scene reflects the restructuring of the world order prompted by the inventions and realizations beyond the traditional hegemonic vision of the West. This tendency is naturally the focus of the upcoming İstanbul Biennial. 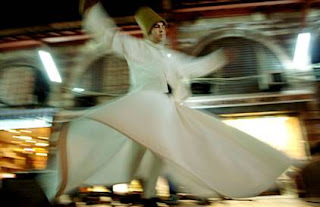 The unique context of Turkey provides a perfect location and momentum for artistic and cultural expolarations of such an issue. It represent aspiration and optimism- it’s a kind of a realizable utopia. We are living in a an age of globalization and its impact on different parts of the world not only create economic cultural and social progress, but also spread conflicts and wars all over. Facing such a reality, better visions of our life and society driven by the dynamism of modernization and certain utopian idealism are urgently needed. Such endeavours are not only possible. They are also necessary. As one of the Non-Western Biennial, İstanbul Biennial is now achieving a real maturity. How to re-engage the Biennial to invent new local conditions facing the challenge of globalizations is crucial. It implies continous effort to produce a new locality for more open, complex, multicultural and creative artistic and cultural activities. The 10th Biennial will more intimately engage itself to the contemporary urban reality by highlighting the interactions between artistic creations and exchange, Articulating the city as a site of production and exchange, the Biennial looks to turn itself into an immense laboratory for artist from both Turkey and all around world to explore such possibilities and even necessities of transformation. The Biennial therefore systematically expreimenttal and committed to the dialogs between the artists and local public. So Biennial, instead of exposing any definite concept, is a platform of imagination, dialogue and production.